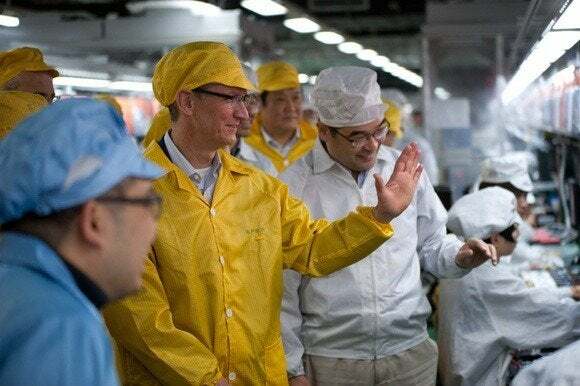 On Thursday, Apple said it investigated 22 of its final assembly facilities and found “no widespread use of benzene or n-hexane, and no evidence of worker health and safety being put at risk,” according to an online report. The investigation covered facilities that employ close to 500,000 workers. The two chemicals, however, were still found at four of the facilities, but in low concentrations that complied with Apple’s safety regulations. Following the investigation, Apple concluded that safer alternatives to benzene and n-hexane exist, and so decided to ban their use as cleaning agents in the final assembly process. The change takes effect on Sept. 1. In June, Green America along with dozens of other groups sent a letter to Apple, demanding the company be more transparent in the chemicals used at its manufacturers. The groups also asked the company to create a fund to help treat factory workers, who’ve become ill or injured for making Apple products. Two months before, both Green America and China Labor Watch staged a related protest outside an Apple store in New York. The U.S. tech giant has been facing persistent scrutiny over its manufacturing processes, after a string of worker suicides in 2010 at factories run by its supplier Foxconn Technology Group. Apple has been working to improve labor conditions throughout its supply chain, but some watchdog groups have said more work needs to be done, including raising workers’ pay and better oversight over the factory conditions.